Now is the time to pick up those extra domain names to protect your brand! Your span number may be different depending on how many box categories you are using and which ones you are displaying. Use a CSS tool such as Firebug to determine what your span number should be. 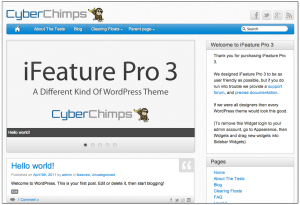 Cyberchimps makes some of the most versatile, user-friendly wordpress themes on the market. I used them for the majority of the websites I build. Go here for information on purchasing Cyberchimps themes. To send payments click the Paypal image above. You can use any credit card or your Paypal account. On-line store Tech Support call: (480) 624-2500. © Copyright - 2019 Open Arms Marketing. All Rights Reserved.